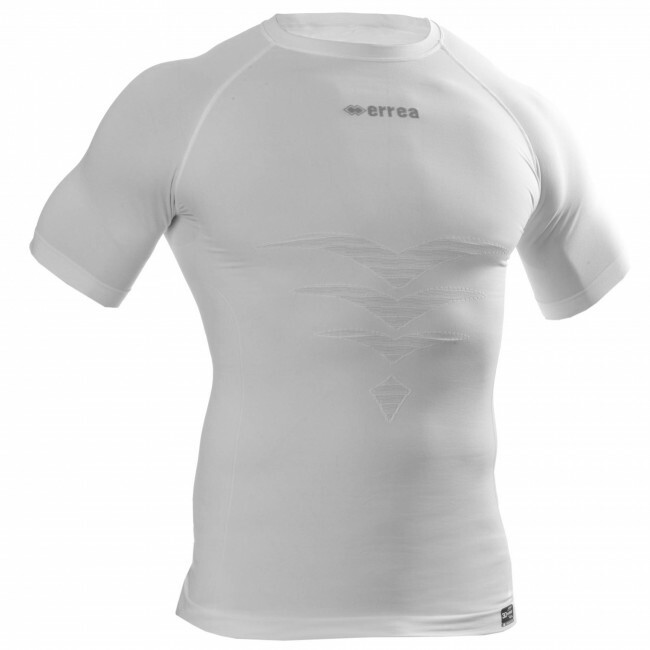 Shirt, technical base layer sports apparel. Short sleeves. Crew neck Unisex (for boys and girls). Suitable for any type of sport. May be used all the year round. High breathability. Superior comfort. A combination of resistance and breathability. Oeko Tex Standard 100 certified. The Alversund by Erreà short-sleeve technical shirt has, on both its front and its back, a technical contrasting jacquard-woven design that conveys character and dynamism to this garment. Thanks to its fabric, which is soft, resistant and breathable, this garment absorbs and quickly wicks moisture and sweat away, towards the outside. The special texture on the back has been specifically designed to provide a massage effect during physical activity, for optimal comfort. The highly breathable areas in the main areas where sweating occurs, preserve an optimal internal micro-climate, thus preventing the energy dispersion that occurs when the body is continually warmed up or cooled down. 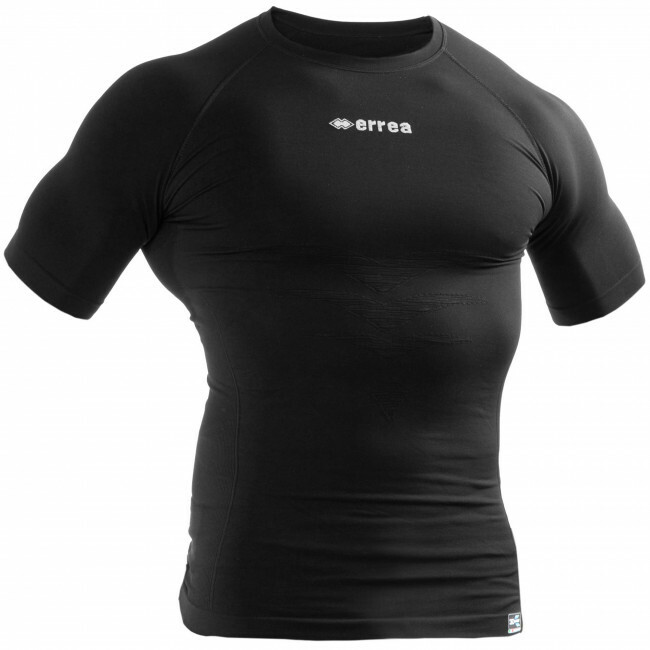 This shirt perfectly combines features such as breathability, comfort, resistance, thermal protection, and 365 days/year all-weather wearability.